"Multiple species, with multiple viewpoints and racial philosophies, simply cannot hold power together for long. The dominant voice must certainly be wise enough to adopt ideas and methods from its allies and member peoples. But there must be a dominant voice, or there is only chaos. In this part of the galaxy, that voice is the Empire." Mako'rian'thrys (Mako'rian'thrys) - Counter-intrusion defense specialist (technological), currently attached to Imperial Intelligence for remainder of assignment. Míra'nath'aran (Anatha) - Once a former CEDF Sergeant, Anatha now works for the Imperial Military Police as a Lieutenant ensuring the imperial law is enforced. Mel'rrass (Irelu'siw'mizzo) -Working now for the Imperial Army as Sergeant and the Infernal Fury, in command of the Alpha Squad. Still contacts between the Chiss Ascendancy. (Progenitor) Deceased. Mitth'ale'nuruodo (Thalen)- former CEDF in Rhigar Academy, and captain in the Imperial Navy for 7 years transfered to the 114th fleet. Kosst'aebor'hess (Taebor) - CEDF Intelligence officer currently on assignment in the Core. Ariaen- An unranked Chiss abandoned on Dromund Kaas as an infant, currently serving in Imperial Intelligence. Chas'othr'awn - Lieutenant, Imperial Navy. Exiled from the Ascendancy for placing his loyalty to the Empire above his loyalty to the Ascendancy. Age'rusk'onno (Geruskon) - Exiled CEDF cadet, has been working as bounty hunter under the employment of the Empire. Keeps the Csilian traditions alive while juggling hired pay in a never-ending battlefield. Anad'ami'anan (Damia) - Lieutenant, Imperial Navy. Sith/Military Relations. Liaison to Darth Lazrid aboard the Queen's Bounty. (Döctor Daravus) Rendar'avus'nuruodo - Chief Medical Officer, Penumbral. Physician and resident researcher of Gree technology for the secretive organization known as Penumbra. Dovael (Dovael) - Sith Lord, exile and formerly known as Hado'vael. Chas'ando'solla - Commander, Csillan Secret Police, currently on loan to Darth Olrac of the Corellian Cabal via Sith Intelligence. Ces'helli'sarelan (Shellis) - Expatriate, Private serving aboard the Empire's Sixth Expeditionary Fleet. Bioanalyst specialized in immunology and toxicology. Serc’esar’aerce (Cesarae) – Captain of the Imperial dreadnought Temperance. An exile from the Chiss Ascendancy, currently serving the Imperial Navy. Kemm'pol'nramursa (Ravenant) - Lord of the Sith, at least in title. Khreon (Zakh'reo'nirual) - Exile, Sith lord. Works with the Sphere of Logistics as an auditor. Known for his eerie calm and proficiency with numbers, meditation, and lightning. Kaim'ihna'narai (Mihnan): Doctor of mechatronics and a consultant with the Science Bureau. Fluent in multiple languages including Huttese and Bocce. Jarin'ixi'muuro- Commander. Military advisor. On special assignment to the Empire along side Ambassador Nix'ana'orsla. Inrokini'loti'canoka (Nilotica) - Former Cipher agent now working with the Imperial Suppression Initiative as a secret police officer in Imperial Space. Specializes in capture, containment, and removal of political dissidents in Imperial Space at present..
Hiso'val'tarthi- First Engineer of the Csilla Construction Yards, loaned to the Empire as a tech adviser on the frozen world of Illum. Specializes on warship shield systems and military repulsor-craft. Hado'rien'tasnint (Gearhardt) - Colonial born Sith Lord known as "Scholar". Sphere: Ancient Knowledges - Reclamation Services. Fa'mari'sabosen (Fa'mari'sabosen) - Previously CEDF Medical Research Doctor. Currently attached to Imperial Navy, Hospital Corpsman First Class. Hlaalu'ria'miurani - Ch'at Visben'iti Phalanx / Private, Transferred from the CEDF. Primm'iraol'iazzu / Naan'tra'Nuruodo - Exiled/Wanted for murdering an Aristocra, has been M.I.A. soon after for six years up until she has been quietly reinstated in Sith Intelligence. Nithelia Abyss (Nithélia)- Currently an agent for the Empire, serving within the 113th. Nex'rsquo'eche'xildsi- CEDF long range sniper assigned as a liaison to the Imperial Military. Neme'ran'ashun- Member of the House Ashun, Sister of Pher'ian'ashun. Self proclaimed " 'Lord-Doctor' of Alchemical and Biological Sciences and Sithspawn Studies" of the Ministry of Biological Sciences. Li'ane - Former CEDF Medic, recently released from Imperial Contract with renewal under consideration. Koth'reedia (Koth'reedia) - Sith acolyte. Unknown family heritage and status, exile. Klik'iril'souro - Ascendency Operative, currently working with Imperial Intelligence. Xeno-linguist and Vibroknife specialist. Pomarii'von'nuruodo- Imperial Drug Task Force (mobile enforcement team). Myranea - An Imperial-aligned diplomat who hasn't actually done much with said job. Rahlaven Kann (Kara'hlav'nuruodo)- Junior Agent training under Imperial Intelligence, operating out of Kaas City. Rentis'ostvo'arrekiv (Rostvoar) -Imperial Intelligence field agent. Trained in subterfuge, slicing, and toxicology. Sevi'dalya'nuruodo (Idalya)- Exile by birth, and Specialist in the 105th Imperial Shock Troopers as a Combat Medic. Seqh'iza'kesh (Hizak) - Agent of Sith Intelligence, currently serving Darth Belatrix of Invicta. Graduate of both the Ascendancy Embassy and Imperial Academy on Dromund Kaas. Somin'arr'isi- A Diplomat attached to More Harpuls fleet. Tesa'seruse'nuruodo (Seruse) - Captain CEDF, Recon and Scouting Specialist. On loan to the Imperial Army for her special skills. Currently serving as Captain of the 4th Recon Company, within the 135th Division, aboard the Third Vanguard Fleet. Valn'akyl'aryn - Field Medical Officer/Second Lieutenant, CEDF. 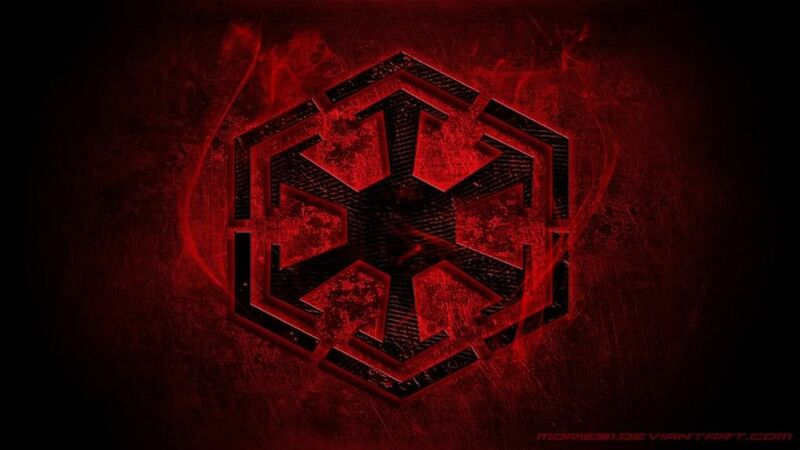 Currently assigned to the Imperial Military as a medical and biochem specialist. Veloxa- Lord of the Sith, Sphere of Ancient Knowledge. Vrath'ran'anua (Thrana) - Sister of Tholum, Captain in the Imperial Navy, CO of ISS Eradicator II in the Fifth Fleet, deemed an Exile. Ysal'yassa'nuruodo ( Code-named Luger ) - Formerly Cipher, now attached to the 2-10th Fireteam formed by Lord Marell. Xeo'ashlena'enzu - Nicknamed Xe'zu - Captain formerly stationed on Hoth and Imperial Diplomatic Services as an honour Guard for Cayle Evanz. Currently between assignments. Zib'aezi'lux- - Loyal to the Ascendency and is Empire allied, he currently works as a medicinal botanist for the Sphere of Biotic Science. Alyia (Sczalo'alyi'inrokini) - Jedi Knight, General Do-Gooder. Carn'avor- republic commando and defector. Kosst'asha'nuruodo (Tashán) - A force-sensitive Ascendancy citizen who elected to train with the Jedi. Xav'ano'sxun - A force sensitive Ascendancy loyalist who has abandoned the Empire. Now occasionally works alongside Republic forces in hopes of undermining the alliance between his people and the Sith. Zurv'evina - A retired Jedi who once cared for younglings. Now lives on Coruscant running a small tea shop. Not every Chiss is in the military, although the most common Chiss to find away from Ascendancy space is military. Many will work with and follow the military or perhaps they're on their own, working for their family or the Ascendancy. 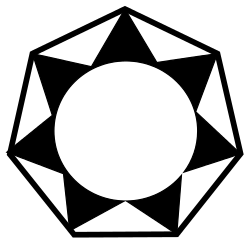 Anath'emasil'vane (Silvath)- Rediscovered by Aristocra Hado'raes'nuruodo to be alive.The Mandalorian functions as a third party contract for the Csillan Rose. Awa'ubre'yeshee- Agent for Chiss Intelligence currently kidnapped and stuck in the Empire. Chaf'iruz'andra (Chaf'iruz'andra) - former CEDF linguist and expeditionary scout. Currently a civilian and finds employment as an interpreter, security guard, and (very) occasional bounty hunter. Chaf'zoq'inrokini - An aide to the Chaf Aristocra, obsessed with maps and spends most of the time in an office on Sarvchi. Chald'rikkah'inrokini (Drikkah)- Librarian : Expeditionary Library, Extra-territorial Division. Publications available on request from the library. Csapla'azra'hado-- Matriarch of House Lach. Csapla'vent'erash- Doctor,A member of House Csapla, the botanist specializes in cold weather resistant crops that can be genetically modified for use in agricultural colonization. Stationed aboard the Csillan Rose. Deij'aelu'srija - Recently promoted Syndic of House Srija. Well versed in combat and unconventional warfare,and somewhat prone to embarrassing slip-ups. Deij'enn'avyn -- Assistant Syndic to Syndic of House Srija. Renowned for her talent and knowledge with medicine and military tactics. Jerenzik (Djer'enzi'kleoni) - Research doctor. Brother to Ech'la'serra. Ech'af'essaklio - Patriarch of the Ech Family. Retired CEDF Captain with three tours of duty under his belt. Ech'la'serra - Aide to Aristocra Hado'rase'nuruodo (Sinclair). Ekarj'un'ortan-Researcher (Primarily genetics but is well known to study nano-tech, and armor and weapons designs), not an MD. Ez'ar'inrokini - Communication's liaison aboard The Crescent Star. Inic’aiza’lam - Cartographer by occupation; painter & calligrapher by hobby. Sponsored by academic institutions within the Ascendancy. Travels extensively. Hado'raes'nuruodo (Sinclair) - The Aristocra on board the Csillan Rose. Been in Imperial Space for over two decades. Known to be more hands on and involved with his people. Hado'eri'seris - Director, electrocommunications specialist and recent Merit Adoptive to House Hado. Her exact duties remain vague, though she's been rumored to be an advisor and chief administrator outside of her listed position aboard the Csillan Rose. Emissary - Registered Citizen working for the Council of Families. Oyal'hado - Assigned to the Csillan Rose. Chief Medical officer of The Csillan Rose and formerly assigned to the Embassy. Nriss'duls'nuruodo (Grimduls) - Secret Police, Infiltration specialist. Mitth'nulu'vgo (Thnuluv)- Tech expert, give her some tech and she can make it dance. Kres'ten'tarthi- General surgeon with two decades spent in Imperial Space. Kres'tau'sabosen - Syndic, house Kres. Formerly two tours of duty on exchange to Imperial Intelligence. Quil'aconi'cuoa (Laconic) - Head Investigator of Everweather, LLC. Rao'khir'ran -- (a.k.a. Zerak'rais'nurodo) -Praetorian of House Hado serving aboard the Csillan Rose as a close-quarters combat Specialist and bodyguard to Aristocra Hado'raes'nurodo. Rass'ah (Seeker) - An unranked Chiss of mysterious origins aboard the Csillan Rose. Ren'liuh'acosu- Fleet Engineer for the Hado Family. Shol'umnar'chaf (Lumnarch) - Deputy Chief of Mission for the Chiss embassy on Dromund Kaas, and matriarch of House Shol, referred to as 'Lady Shol'. Somm'as'suar -Staff Sergeant. Currently training CEDF personnel for House Hado, assigned to the Csillan Rose. Taret'hess - Senior Captain (Retired): Senior Officer with the CEDF, retired at the age of 56 after injuries sustained in defense of the Ascendancy left him unable to perform his duties after 41 years in service. Thras'pid'erhiu - A Chiss with a spider symbol as a calling card. Val'ice'nuruodo - Emissary. Currently serving as a recently selected emissary to Darth Tarasirs. Vaer'ai'neya- Ex CEDF special forces and imperial military special forces. Weapons expert. Now working with the Blackscar Mercenaries, HQ on Tatooine. Vask'iwus'aoca (Kiwusa)- Born on Csilla, former Imperial Sharpshooter, now agent for Aristocra Shol. The Chiss Expansionary Defense Force or CEDF is the military branch of the Chiss Ascendancy, founded by ancient Syndic Jer'jo Cam'co. The senior officers of the CEDF are stripped of their family names and privilege and made part of the Defense Hierarchy in order so they can serve the Chiss without deference or prejudice. Ana'ki'csana (Nakicsa): Captain, staff officer to CEDF Intelligence. Recently pardoned of major terrorist activity and given her position of Captain back for classified reasons. Csehl'ero'fruomo - EDF Reconaissance Corps // Corporal, Csehl's skills have been calculated to be especially useful in Reconaissance. Relr'ey'nmir (Relr'ey'nmir) - CEDF private, sniper. Youngest child of the Aristocra of the affluent House Relr. Currently pending assignment. Rani'elno'nand (Rani'elno'nand) - Ensign, different security duty tasks within the CEDF. Quil'xin'cuoa (Zinc) - Chancellor of the Siousian Independent Government. Former Assistant-Syndic, CEDF. Nef'uri'nuruodo- Private assigned to the infantry unit of the Csillan Rose, cyber forensic specialist. Nik'adamys- Medical Officer/Lieutenant, CEDF. Specializes in Foreign Affairs & is currently stationed as the chief medical officer of an Imperial Medical Clinic on Dromund Kaas. Mitt'alo'sev (Talos)- Special forces, demolitions expert and close quarter combatant badge holder. Miurani’zari’Iwando (Nizar'i)- Operations Officer in Chiss Intelligence and a galactic trade negotiator for House Iwando. Maz'ahid'erinth (Zahide) - CEDF intelligence agent presently serving as an Imperial Liaison. May or may not be part of the Secret Police. Mas'una'nurudo - Currently a low-level grunt in the CEDF hierarchy, Sunan was previously stationed on the colony world of Rhigar. Related to clan Azc one her mother's side. Lersen -A human officer with Chiss citizenship stationed on the chiss dreadnought Ice Pilgrim. Chiss Naval Intelligence. Espionage. Kow'ilon'acorc - Infiltration Specialist. Assigned to the Csillan Rose. "Marbles." Kini’ssre’hado - Lieutenant in the CEDF. Recently rotated to Imperial space from duty on the Ascendancy fringe. Assigned as a medical officer aboard the Csillan Rose. Ina'ili'akalio - Private in the CEDF assigned as Supply Specialist to Engineering on the Csillan Rose. Hellen (Kthira'helle'nuruodo) - CEDF, Intelligence Operative. Aka'tii'nuruodo ("Atiin") -Field Medical Officer, moved onboard Csillan Rose after previously overseeing CEDF Medical Corps training exercises on Csilla. Akredma'lun'ynivel (Malunyn) - CEDF Sergeant, Explosive Ordnance Specialist; Formerly on loan to the Imperial Military. Aliw'ick'stair (Wicks)---First Lieutenant, CEDF. Three years in the service.Currently Company Executive Officer for the Csillan Rose's ground forces. Akos’hi’nuruodo - Private, a wilderness adept forward reconnaissance scout, the young soldier is temporarily stationed aboard the Csillan Rose. Chaf'avee'nuruodo (Faveen) - Captain. Computer security and systems engineer, counter-slicing expert. Combat certified. Commander of the CEDF ship Waning Gibbous. Chaf'ris'cspala - Warrant Officer. Explosives. Ordinance Expert and in charge of morale, assigned to the Csillan Rose. Over ten years in Imperial space. Csup'apri'kaszeon - CEDF data analyser stationed at a little office in Kaas City. Dels'taron - An unranked Chiss born in the penal colony on Au'Daxu serving in Imperial Intelligence. Erria - Weapon engineer in the CEDF, transferred to the Infernal Enclave as an engineer help out. Still fully part of the CEDF and a member of the Chiss Ascendancy. Falk'elex'inrokini (Kelexi) -Chief Engineer/Colonel CEDF. Assigned as Chief Engineer of Csillan Rose. Ez'aul'nuruodo -Lieutenant. Serves as a Expeditionary Ground Reconnaissance Officer and on-board data analyst on a CEDF ship named the Crescent Star. Ez'ere'nuruodo - A CEDF Sergeant. Sev'iato'nuruodo - A young Cadet aspiring to be an intelligence officer. Sla'ven'nuruodo - Phalanx Commander, currently oversees the activities of a Chiss phalanx, designated Ch'at Viseben'iti (or The Cardinal). The phalanx operates under the banners of several unified families and has recently been given consent to lend additional, discreet support to their Imperial counterpart. Sos'Tito'Mlatha - CEDF clandestine operator. Lieutenant. Marksman. Sev'inre'loro (Vinrel): CEDF asset on loan to the Imperial Navy. Fleet Admiral, Novus Dominion's Military Joint Operations Commander. Thurani'vell'endruo ("Nivelle") - Second Lieutentant, Scout Pilot/Infiltrator assigned to assist Lersen in his work. The Chiss, do not believe in capital punishment, recognizing it as an irrational emotion-driven reaction rather than a true deterrent. Exile is the extreme consequence for the most heinous crimes. Given how important familial loyalty is to the Chiss, expulsion from society is a very grave punishment. Kanjor've'latuu (Jorvel) - Rogue CEDF agent and wanted cyber thief. Hale'len'aarant (Píxíe)- Hale'leandr'aarant's daughter's presumed name. Hale'leandr'aarant- Exiled for Murder, pregnant upon time of exile. Last seen on Nar Shadda, presumed dead. Elegant / Ellegant (Kthira'meria'nuruodo) - Former CEDF Intelligence Operative -rogue; wanted. Er'igrave (Sczalo''yier'inrokini) - Wealthy Entrepreneur, Expert Marksman, Troublemaker. Resides at an ostentatious residence Tattooine when not in space. Runs a small, exclusive market. Edge - Enigmatic muscle for hire, currently working as the bodyguard for one Professor Lar’azo’ran. Gruff, quiet, not a great dancer, though most often caught prowling about Nar Shaddaa when not on the job. Affiliations unclear. Cyar'kril'armad - Discovered to be a Force sensitive and sent to Korriban for training. Exiled due to his defection and disobedience. Braec'org'inrokini -Thought to be KIA ~20 years ago during a classified mission. Is working to create a reputation for herself not only in underworld medicine but her skills with hand to hand combat. Azc'irco'nurudo (Zirco) - Sister of Casben. Known to have worked for an admiral in the CEDF, she went underground when said admiral defected. Affiliated with numerous underworld groups and suspected to have operated with the Republic. Azc'asbe'nurudo (Casben/Vhirem) - Exiled with his family after his father, an ambassador, leaked Ascendancy intelligence to foreigners. Noted to have worked with Imperial Intelligence after his exile. Alastor Ashbourne -A business representative for the Galactic Trading interests of Alderaan, particularly House Panteer, concerning the precious metal exchange market. Kthira'ralani'csapla (Phai'lin)- Exiled for murder and conspiracy against her house. Last known location to the Ascendancy , Alderaan. Known , Slicer, Assassin, Tech and Cybernetics Expert. Loxicotle/Cotle - Former CEDF Cadet, now Exile working mostly freelance as a cargo hauler for Moonshadows Trading and Securities. Minta'le'enupo (Alee) Alias: Tahlee - Mercantile family, conscripted (No rank achieved), labeled as desertion. no warrant issued. Nass'ega'ana - Ascendancy Runaway currently moonlighting as a vigilante huntress. Sere'kiv'aranu(Sere'ret'aranu) - The only blood relative of Sere'ret'aranu, was disowned by the house and Exiled along with her sister. Last known location was Nar Shaddaa, over a standard year ago. Sola'ria'hina (Sola'ria'hina) - Former CEDF spec ops officer (Self exiled) turned freelancer. Core name: Ariah. Sere'ret'aranu(Sere'kiv'aranu) - Discovered to be a Force sensitive & sent to Korriban for training. During the trip, the young woman slipped away and has not been seen or heard from since. Was Exiled due to her defection and disobedience. Spectre - A violently anti-Imperial Underworld Slicer known for fast hands and a loud mouth, the full-time troublemaker never shows his face and is rumored to run with Privateers. Telc'urar'aeris (Curarae)- Exile Professional Medical Assassin and seneschal. Defected to join the Mercenary Sisterhood "Ordo Angelus Sororitas." Vystal- No records can be found on the holonet, Imperial records, or Republic records. He is a ghost. He is an information broker, Information is power. He will take on nearly any job(under specific alias), from a smuggler to assassin, anything that will allow him to collect any information he can get. Veks'trenia - Lead Technical Concept Designer of GRUUware. Exiled following failure of duty in an arranged marriage between House Vek and House Brast. Xann'err'traa- former Hutt pleasure slave and gladiator. Now running with the Mandalorians, the dual blade wielding dancer specializes in hunting force sensitives. Originally from one of the Ascendancy's Hoth settlements.